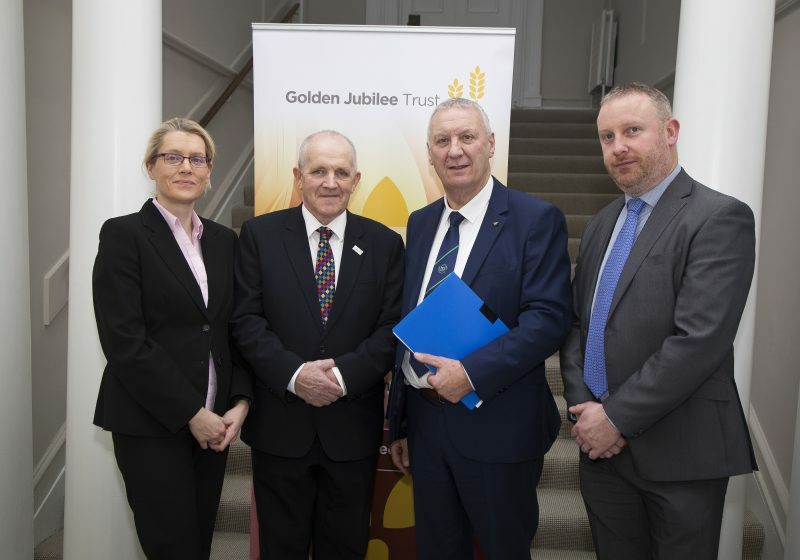 FRS Network have been approved a research grant from the Golden Jubilee Trust to conduct research to find out young farmer’s attitudes to Co-operatives, Co-op shareholding, Co-op boards and their possible involvement in boards of management in the future. FRS have appointed Dr Pat Bogue, Broadmore Research and Consultancy, to conduct, analyse and report back findings of the surveys to gain an independent outlook on the likely participation of young people in the future of co-operatives in Ireland going forward. 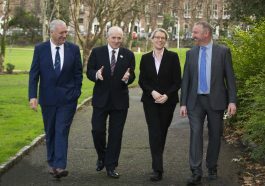 FRS to Conduct Important Future Co-op Participation Research Pictured from left: Sinead Farrell, Secretary Golden Jubilee, Michael Spellman, Director, Peter Byrne CEO FRS Networks and John Brosnan, from NCFRS. FRS Network, Global Jubilee Trust, ICOS and Broadmore Research invite all to take part in the survey on www.frsnetwork.ie/survey where your responses will be confidential.